Escape Sandbags - the unstable load makes users work harder and activates the stabilising muscles throughout the whole body. This bag is tough too – the robust material makes this the ideal tool for indoor and outdoor bootcamps. 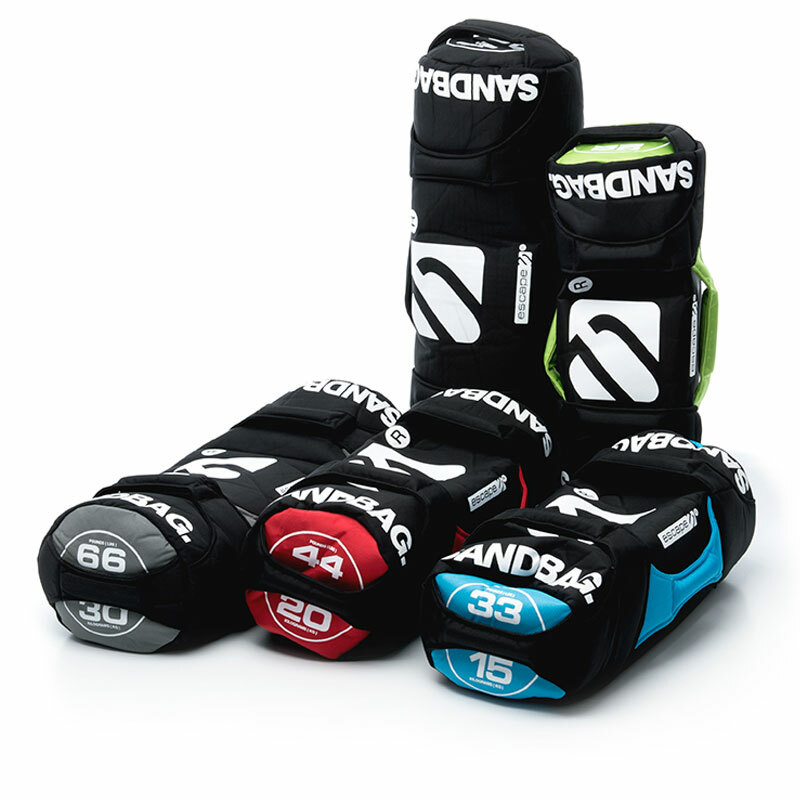 A unique feature of the SandBag is the reinforced handles, while the number of handle positions offers true versatility. It comes pre-filled, so it’s ready for use immediately. Extra tough – our SandBags feature superior design, double stitched, reinforced grab handles which allow the bag to be lifted, thrown and caught with one or two hands. User-friendly – weight is created by steel sand granules to generate a smooth shift of weight rather than a sudden thud. Multiple handle positions add new variety to fundamental lifting patterns. As well as throwing, our bags can be placed across the shoulders or chest for more challenging squats and jumps.